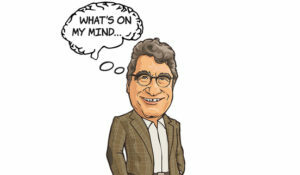 Nicholas S. Zeppos was named Vanderbilt University’s eighth chancellor in 2008. His appointment was the culmination of many years of service to the university, where he started as an assistant professor of law in 1987 and went on to serve as a professor of law, associate dean of Vanderbilt Law School, associate provost for academic affairs, vice chancellor and provost. A distinguished legal scholar, teacher and executive, Zeppos has elevated Vanderbilt’s mission as a top academic research university and furthered the school’s commitment to making education accessible, inclusive and immersive. Under his leadership, Vanderbilt has risen from No. 19 to No. 14 on the U.S. News & World Report’s ranking of best universities, and from No. 20 to No. 10 within Reuter’s assessment of the world’s most innovative universities. Shortly after becoming chancellor, Zeppos implemented Opportunity Vanderbilt, a pioneering initiative that provides loan-free tuition to the nation’s most talented and deserving undergraduate students, regardless of their background and financial means. 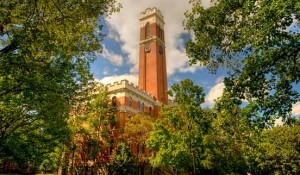 Launched amid the economic uncertainty of 2008, Opportunity Vanderbilt has raised more than $400 million for scholarships and has been recognized as the nation’s best financial aid program by The Princeton Review. Zeppos has been instrumental in planning and executing Vanderbilt’s transformative residential college system, including The Martha Rivers Ingram Commons, Warren and Moore colleges and E. Bronson Ingram College, with three additional colleges underway and planned—all major strides towards reinventing the student residential experience to educate the whole person. The chancellor’s dedication to holistic living-learning programs is also reflected in Vanderbilt’s FutureVU campus development plan, which aims to further position the university’s campus to fully, creatively and thoughtfully advance its academic mission. 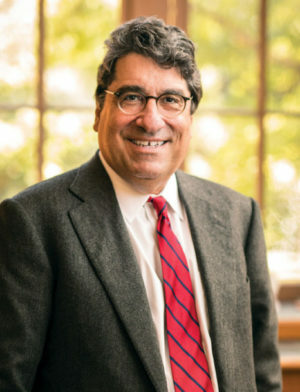 In addition, Zeppos launched the university’s Academic Strategic Planning process; the development of new programs in Jewish studies, law, economics and genetics; and the effective separation of Vanderbilt University from Vanderbilt University Medical Center, a prescient restructuring that has positioned both institutions for long-term success. Since October 2018, Zeppos has served as the chair of the Association of American Universities Board of Directors, a role through which he has further established himself as a national advocate for the importance of higher education. He is also a member of the Knight Commission on Intercollegiate Athletics and serves on the boards of the Consortium on Financing Higher Education and Vanderbilt University Medical Center. Previously, he served as president of the Southeastern Conference Executive Committee and co-chair of the United States Senate-appointed Task Force on Government Regulation of Higher Education. He is married to Lydia A. Howarth, an accomplished editor. They have two sons, Benjamin and Nicholas.